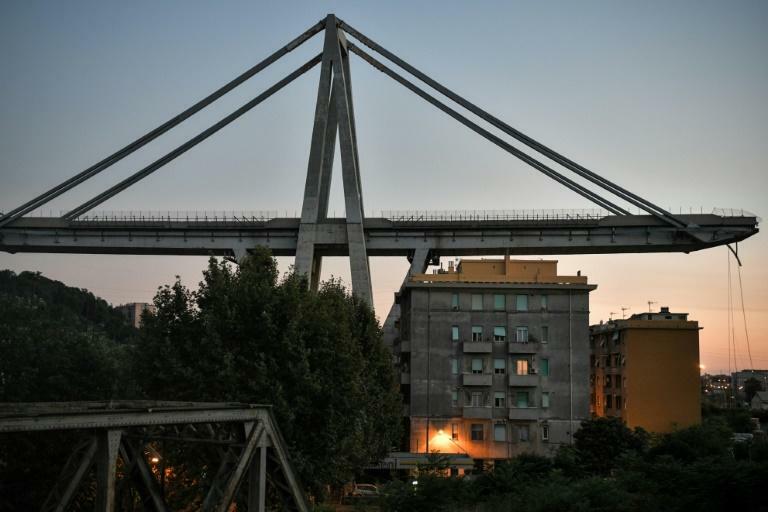 Shares in Italian infrastructure group Atlantia, which operates the motorway on which a bridge in Genoa collapsed, were initially suspended on the Milan stock exchange on Thursday, but plunged more than 24 percent when trading resumed an hour later. Atlantia's prime asset is Autostrade per l'Italia, which operates the A10 highway where a segment of the overpass collapsed on Tuesday, killing at least 39 people. Its shares had already closed 5.4 percent lower on Tuesday. Milan had been closed for a public holiday on Wednesday. But when Atlantia shares re-opened after an hour's delay on Thursday, they were down 24.4 percent at 17.79 euros after the government suggested that it could revoke Autostrade's operating licence for the motorway. Deputy prime minister Luigi Di Maio charged on Wednesday that the tragedy "could have been avoided" and that it was clear that Autostrade per l'Italia was at fault for not carrying out maintenance. The Italian government said it intended to fine the firm 150 million euros and cancel its concession. The transport ministry told AFP it would first look at whether it was justified to revoke the concession for the A10 motorway and then look at all the other concessions. "We'll let the investigators do their job, but we can't wait for criminal justice," said Prime Minister Giuseppe Conte. "Our obligation is to ensure that everyone can travel safely. So, we will revoke the licence because there is no doubt... that Autostrade had the duty, the obligation and the commitment to ensure the maintenance of this viaduct and the safety of all those who travelled on it," he said. In a statement on Thursday, Atlantia said that the decision to revoke its licence had been taken unilaterally. "The announcement was publicly communicated lacking a specific default notice and without any verification of the material causes of the accident," it said.